I’m a sucker for a good biscuit. The passionfruit vine on our fence is going crazy at the moment (it isn’t even planted in our backyard, thank you neighbours! 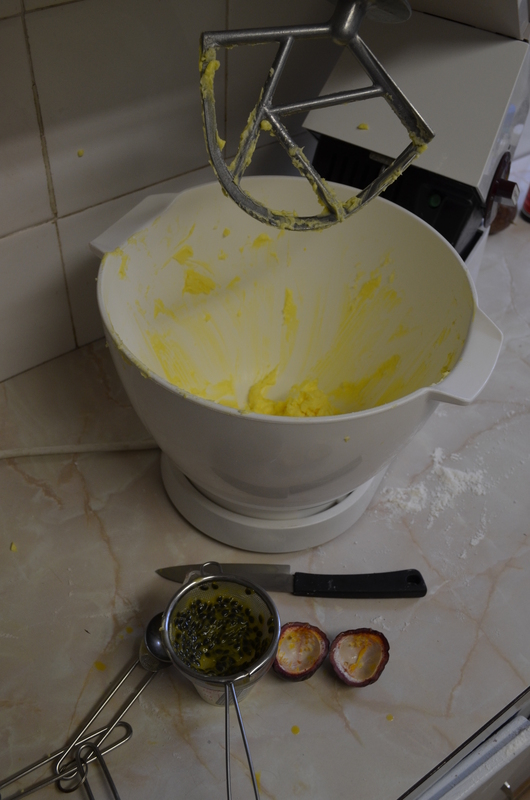 ), so I’ve been incorporating the flavour into lots of my baking. 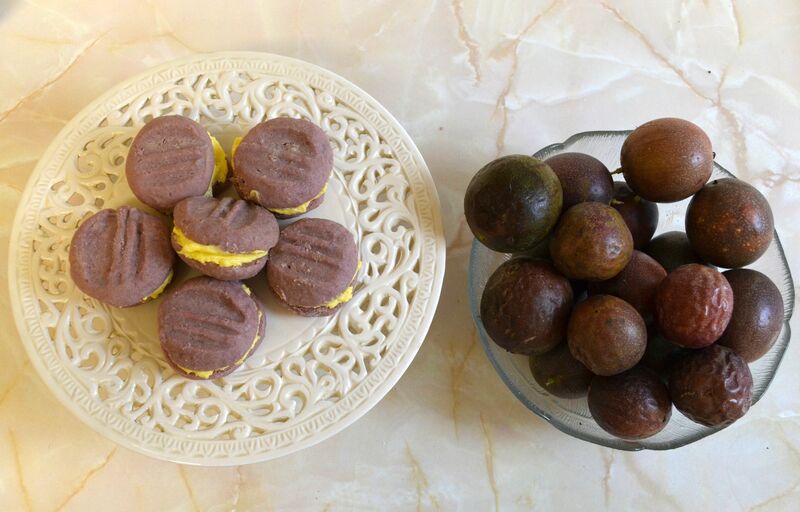 The tangy passionfruit flavour goes really nicely with the crumbly, buttery biscuits. Perfect with a cup of tea or as a late night treat. 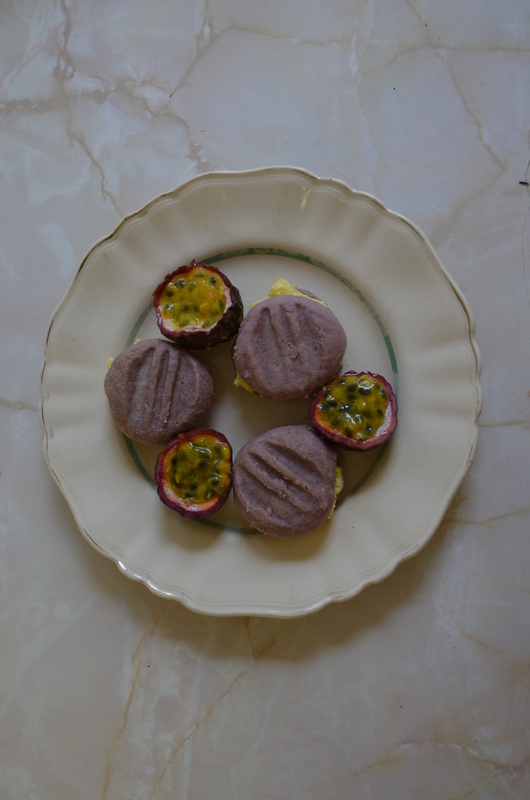 I made the biscuits purple to evoke the contrast of the passionfruit shell with the yellow pulp. I probably didn’t achieve the perfect colour but I still think they look pretty. 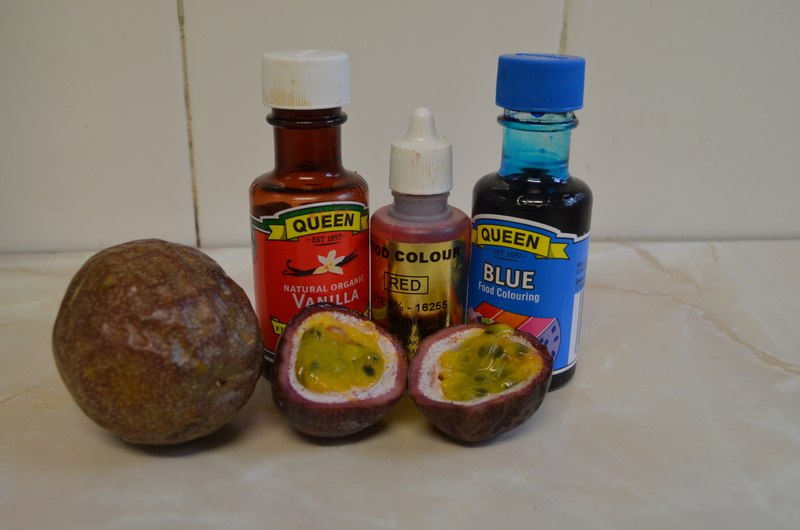 So, food colouring is totally optional here. 1. Preheat oven to 160ºC and line two oven trays with baking paper. 2. Beat butter, vanilla, salt and icing sugar with an electric mixer until light and fluffy. 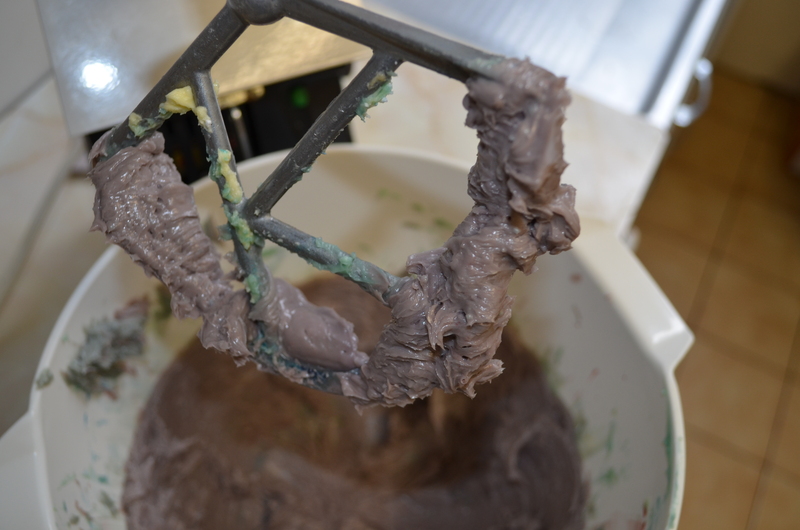 Add food colouring if desired, and stir to achieve a light purple mixture. I love my Kenwood Chef! 3. Add flours in two batches, stirring between additons. 4. 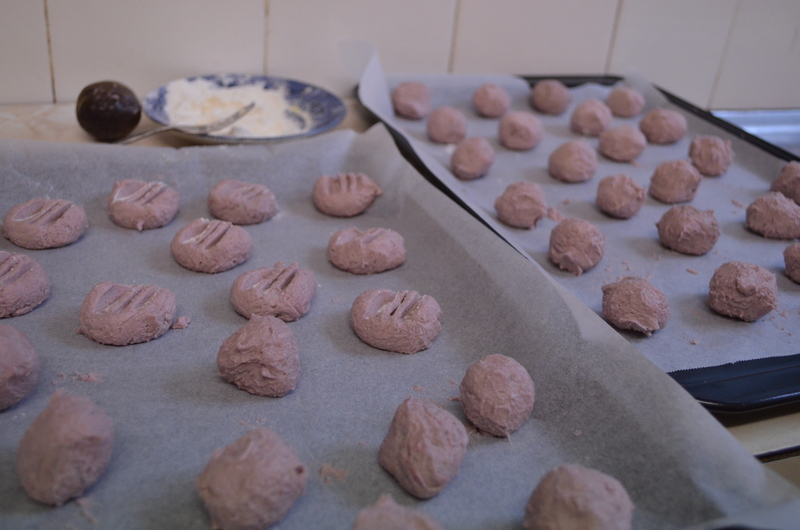 Using lightly floured hands, roll generous teaspoons of mixture into balls and place on prepared trays, leaving 2cm spaces between each of the biscuits. Flatten slightly with a lightly floured fork. 5. Bake for about 15-20 minutes and stand on trays to cool. 6. Meanwhile, make the butter cream. Beat butter and icing sugar (does anyone else hate sifting opened icing sugar as much as I do!?) until light and fluffy. Stir in passionfruit juice until combined. 7. Sandwich biscuits with about a teaspoon of the butter cream. Mmm mm! Makes about 20 filled biscuits. I love these little cold set cheesecakes for their ease and light but indulgent taste. They are simple to make and look great set out at a party or dinner- plus, you won’t need to fire up the oven. I was first inspired to make them as a canvas for the gorgeous salade de fleurs I found at The Essential Ingredient, and have varied the topping to include fresh violets, candied flowers and lemon rind.They look lovely with berries, too- basically you want to pair them with something colourful and tasty! My most recent batch were for New Years Eve, and I was rushing to leave (typical Becma) so I didn’t get a chance to get any photos of the process, but it’s fairly simply to follow. 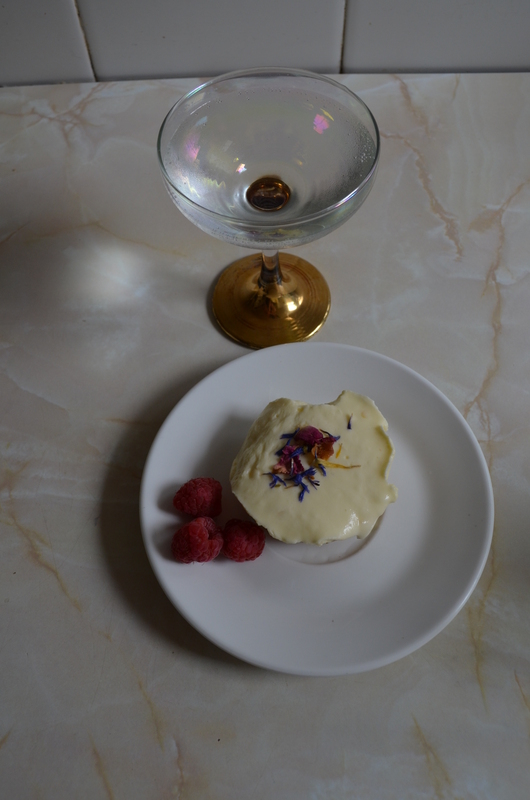 I suggest: Salade de fleurs, fresh violets, candied flowers, lemon rind and fresh berries. 1. Line a 12 hole muffin tray using squares of baking paper (or paper cupcake cases, if you’re in a hurry). 2. Break up the biscuits using a rolling pin or food processor until you have mostly fine crumbs (I like a few bigger bits for texture). Add the butter and rind and stir or process until well combined. 3. Place about 2 tablespoons of base mixture into each of the lined spots and press down. You want nice thick bases for your cheesecakes, so use a bit more mixture if you have leftovers, just make sure you don’t go above the halfway point. Place in the freezer for 30 minutes or until firm. 4. Beat the cream in a large bowl with an electric mixer until it nearly holds its shape but not quite, then beat in softened cream cheese until smooth. 5. Add juice and rind and begin beating on a medium speed, gradually adding icing sugar until the mixture is smooth and mostly free of lumps. 6. Spoon mixture on top of the prepared bases (still in tray) and place in the freezer for at least two hours. Remove baking paper from frozen cheesecakes and move to fridge shortly before serving. Decorate with whatever you have chosen and serve with berries, if desired.